Foxrox Electronics has evolved over the last 25 years. My fascination with electronics began as a kid at summer camp, where I learned how to solder parts into circuit boards. From then on, I was intrigued with things that many people would consider garbage. As a teenager, I was in love with tape recorders and CB radios, and I couldn't resist opening them up to see what made them tick. I would try to do modifications and improvements, and half the time I'd break them and then attempt to fix them. A friend gave me a broken Crybaby wah pedal, and around the same time, I started playing guitar. All I wanted to do was sound like Hendrix. That started my obsession with guitar effects pedals and audio electronics. I failed at fixing the wah pedal and ended up throwing it out, but not before removing its guts. I began my professional audio career at age 21 in the fall of 1984, after graduating from the Institute of Audio Research. My first real job was at Crest Audio, a leading pro-audio manufacturing company that produced professional power amplifiers and mixing consoles for many of the top acts during those years. I started out as a technician for the Kelsey Mixing board line. In the late ‘80s, Crest Audio took on production of the Gamble EX56 mixing consoles. These were the top-of-the line, front-of-house sound boards used by most of the major tours of the late ‘80s and ‘90s. I was the head technician, and I did most of the assembly work, testing, and all of the field servicing. 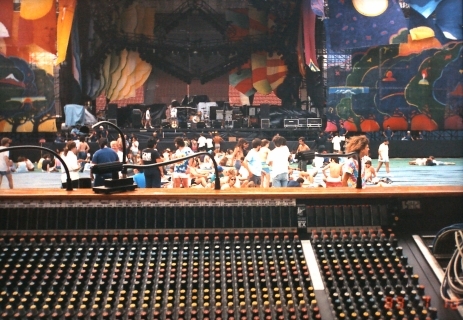 It was a high-profile job, since this was the equipment used on huge tours, including The Grateful Dead (shown here), Rush, Guns N’ Roses, Dave Mathews Band, Allman Brothers Band, The Eagles, Bob Dylan, Van Morrison, David Bowie, Original Lollapalooza festivals, and too many more to mention. I often found myself servicing the equipment right before the acts went on stage - there were some stressful times, but it was exciting. My time with Crest Audio lasted for 17 years. I loved every minute of it, but at the same time, I was more interested in making guitar pedals. In 1986, I had a side project at Crest - it was to bring back the classic Dallas Arbiter Fuzz Face pedal. I had discovered that Crest Audio was originally Dallas Arbiter in the 1960s and had changed to Dallas Music Industries in the 1970s. I found some Fuzz Face and Trem Face pedals in the warehouse and convinced the powers-that-be to let me get the Fuzz Face back into production. I built the prototypes, tested each one, and ran ads in guitar magazines. 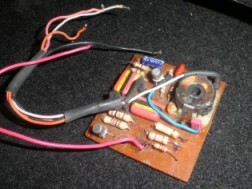 Between 1986 and 1990, Crest Audio pumped out around 2000 Fuzz Faces. 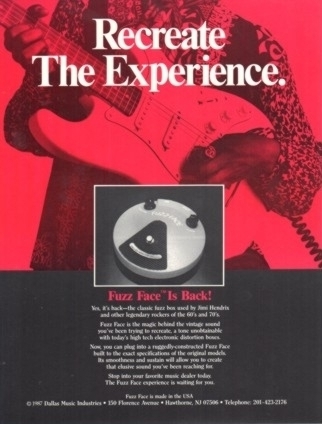 In 1990, Crest worked out a deal with Dunlop Manufacturing and they started making Fuzz Faces. That freed me up to concentrate on the Gamble Mixing boards. In 1987, a guy in Texas called to talk about Fuzz Faces and the conversation shifted over to Uni-Vibes. I had only read about Hendrix using one. I knew the sound, but never knew how he got it. This guy asked if I could fix his Uni-Vibe, so I thought I'd give it a shot. While I had it in my possession I got it working and traced out the circuit so that I could build one for myself. I built one and it sounded amazing. The word got out that I made my own Uni-Vibe, and to my surprise, people started asking me to build them. Over the next few years, I built quite a few of them. They were pretty crude - built on perf board in plain sheet metal enclosures. In 1992, Tom Lanik of North Star Audio learned of my vibe clones and offered to market them for me if I could produce them as a real product. So I named the company Foxrox, a nickname I had as a kid and the brand name I put on some experimental rack-mounted gear I built in 1986. 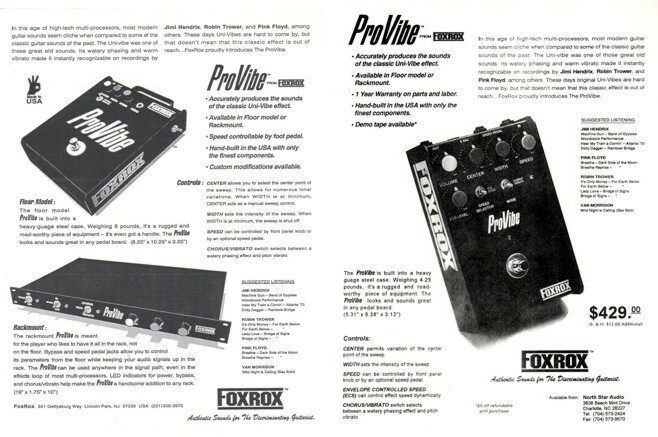 My first official product was the original Foxrox ProVibe. Silkscreened in the kitchen and built in the spare bedroom, the ProVibe was one of the earliest Uni-Vibe reproductions. I built and sold around 150 ProVibes through 1994. Most of them were sold through North Star Audio. Some of them went to Bob Bradshaw of Custom Audio Electronics. Bob put them into the effects systems of the rich and famous, including Steve Lukather, Michael Landau and Joe Perry. At this point, ProVibes are hard to come by and are considered very collectible because of their sound, quality and uniqueness. 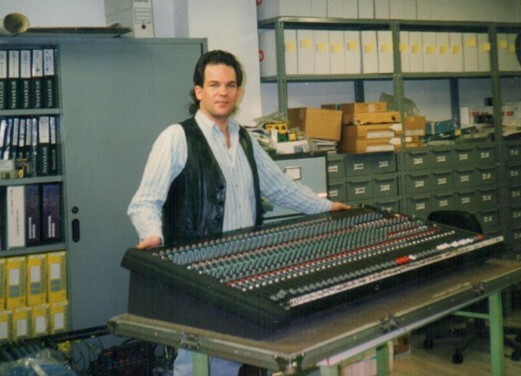 After Crest Audio was purchased by Peavey in 1999, I moved on to work as Technical Audio Director for the pro-audio rental company, Promix, in Mount Vernon NY. That job wasn't for me, so early in 2000, I quit and returned to Crest Audio. During this time, I decided to revisit an idea that I had come up with in 1992 - a combination analog effects pedal that brought together the three main Hendrix effects – Fuzz Face, Octavia and Uni-Vibe. I designed and prototyped it during my year-long return to Crest Audio. 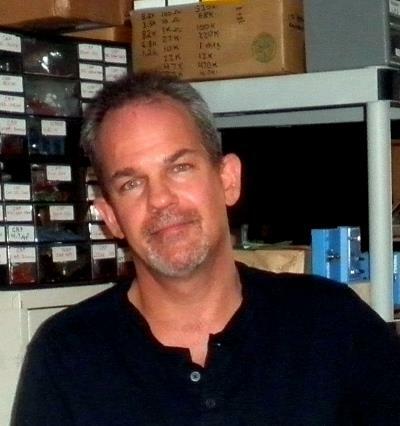 Then in early 2001, I quit the day job and began devoting all my time to Foxrox Electronics. Foxrox Electronics was incorporated in April, 2001. The original product line included Captain Coconut, which led to Captain Coconut2. Then there was Paradox TZF, the flanger pedal designed to produce a through-zero sweep. That, to me, was what was missing from all flanger pedals. Also, in order to make it so people could use their wah pedals with their Fuzz Faces without interaction, I came up with the idea of adding specially-tuned buffer which gets installed into the wah pedal. It's known as the Foxrox Wah Retrofit and is still in production. Both Captain Coconut2 and Paradox TZF were discontinued in 2006 in order to make way for new Foxrox pedals.